What Are the Main Components of a Lion's Diet? 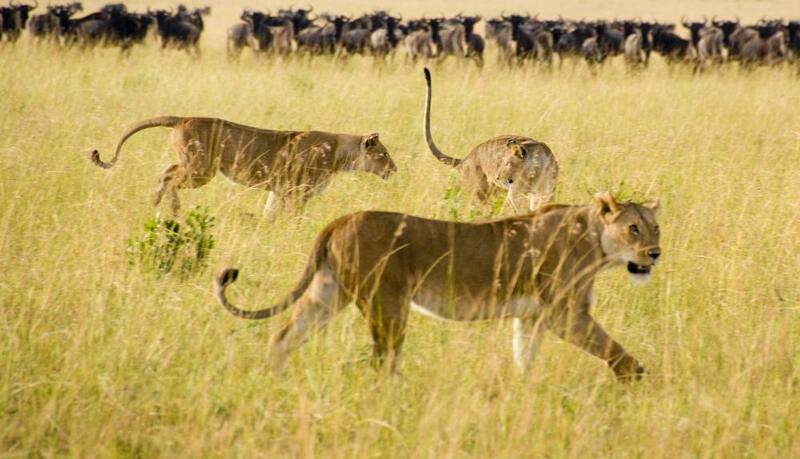 The lionesses of a pride will hunt together, looking for weak or resting animals. Lions may steal the kills of other predators such as cheetahs and hyenas. 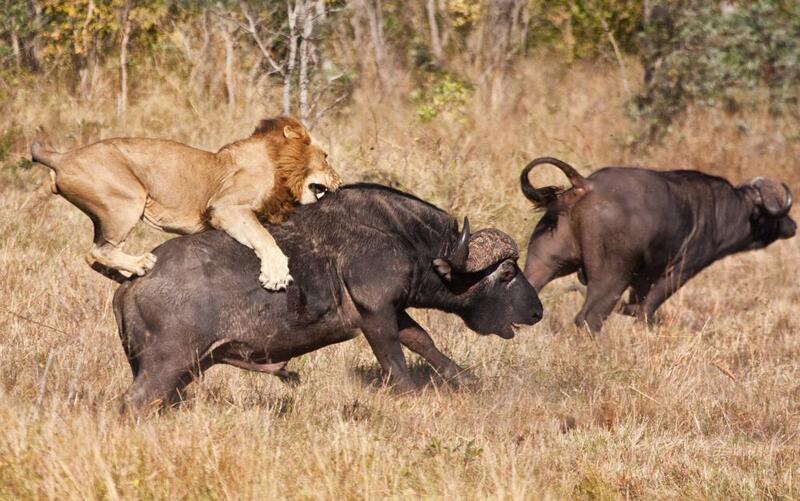 Lions feed on buffalo and other wild animals. 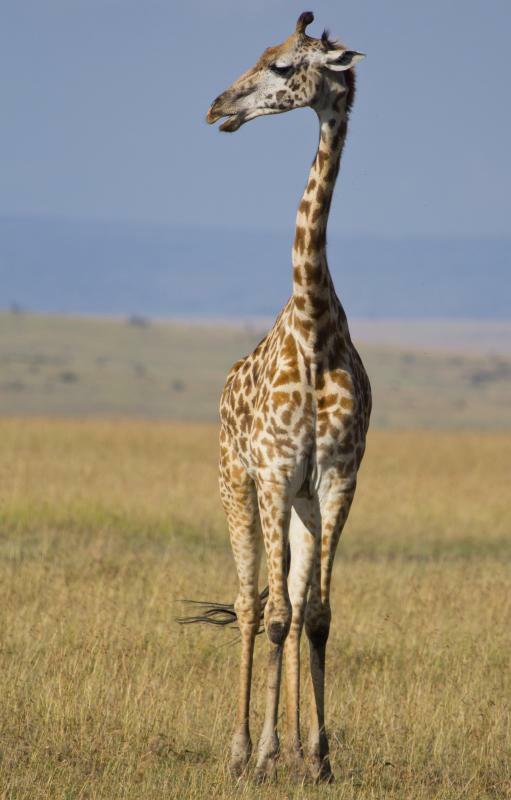 Lions often prey on giraffes. Lions are carnivores, so the main components of their diet are meats. In the wild, a lion's diet usually is made up of wildebeest, zebra and buffalo. Baby giraffes, elephants and rhinoceroses also tend to be favorites. Lions that are held in captivity are usually unable to hunt, however. For these animals, meals usually are made of beef and poultry. In nearly all cases, a lion's diet is strictly meat-based. Lions enjoy a diversity of prey but only rarely eat grass, fruits or other vegetation. They will eat greenery to avoid starvation, but it is never a first choice. All types of lions are natural hunters. In the wild, they live in groupings known as prides, and they sustain themselves with meat from animals that are captured and killed on community hunts. Hunting is predominantly undertaken by the pride's matriarchs and usually is done at night. The lionesses will prowl the savanna looking for resting animals that make capture easy. In the daytime, lions often run alongside herds of other animals, looking for weaker members to attack. Lions generally are very fast runners and often attack by outrunning their prey or running until the prey is exhausted and then pouncing. The lions' strong jaws make the kill rather easy; the harder part usually is dragging the meat back to the pride. Lions have also been known to steal the kills of other animals, particularly hyenas and cheetahs. 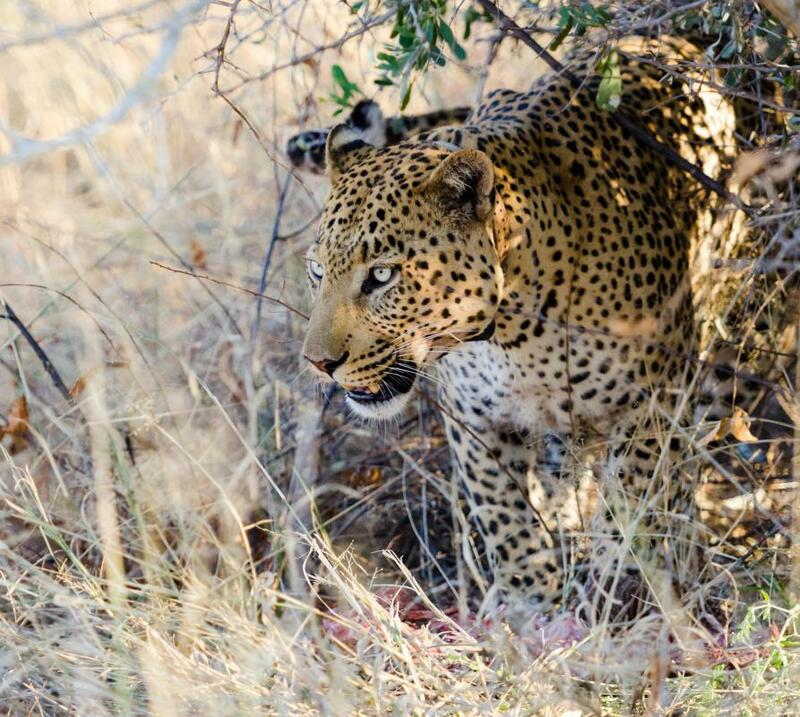 Most of these hijacked meals are smaller, such as the meat from antelopes or gazelles. Lions are not picky when it comes to eating meat, and most will devour any animal that was once alive. For the most part, a wild lion's diet consists of whatever the pride leaders are able to capture. Much of this is dictated by location, as well as the general ecological health of the lion habitat. During droughts, for instance, lions often benefit at the outset. Other animals are weakened in the search for water, and as a consequence, those animals are more vulnerable and exposed. As time goes on and the herds either move on or die off, however, lion prides can suffer. In desperate times, a lion's diet might include lizards, rodents or other small creatures. Pride members generally must fend for themselves in these circumstances and cannot always depend on community hunts to supply them with the food that they need to survive. A lion's diet in captivity usually is quite different in terms of both structure and the contents of meals. Lions that are kept in zoos or on wildlife reserves are usually not permitted to be hunters. In part, this is for safety's sake, but it also prevents the ready sacrifice of live animals. Unlike in the wild, where all animals are free until captured and killed, in captivity, the lions have a distinct and unparalleled advantage in that the prey has nowhere to go. Captive lions usually are fed prepared meats by zookeepers at certain appointed times. These meats generally include beef and poultry — commonly chicken and turkey. Meat is almost always served on the bone, so that the lions will have the chance to gnaw on it and separate it as they would in the wild. It is almost always presented dead, with the zookeeper acting as the matriarch returning from the kill. Depending on the zoo, lions might also be fed grain supplements. Lions that are not actively hunting usually do not require the same amount of lean protein as their wild counterparts do. With this is mind, zoos often find that is it more cost-effective to combine meats and carbohydrates in a captive lion’s diet. This is a controversial and much-debated deviation from a lion’s natural tendencies and has not received widespread international support. What Is a Barbary Lion? What Is in a Lion Habitat? What Is a Cave Lion? What Are the Different Species of Lion Tamarin? Do Lionesses Have Preferences in the Traits of Lions? Is it right to give lions chicken and turkey? Honestly, it's not a part of their natural habitat, so it seems a bit unnatural. @Euroxati - No, actually, I think lions are one of the few animals that don't eat their young, even during the hardest of times. However, even though you didn't mention this, I think another reason why lions have such a hard time finding food is due to the fact that they eat so much meat. Because of this, it becomes scarce rather fast. Does anyone know if lions eat their own young? I know that some animals do it, and when times get desperate, they'll eat just about anything. After all, as the article indirectly states, sometimes it's harder to find food due to droughts and animals migrating.